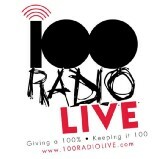 100 Radio Live is a Media Marketing Group that is all about creating Opportunities for real people in the World of Broadcast Media. 100RadioLive hasn’t been active on Medium yet. Check back later to see their stories, claps, and highlights.